In this novel based on the Assassin's Creed™ video game series, Niccolò Polo, father of Marco, will finally reveal the story he has kept secret all his life—the story of Altaïr, one of the Brotherhood’s most extraordinary Assassins. Altaïr embarks on a formidable mission—one that takes him throughout the Holy Land and shows him the true meaning of the Assassin’s Creed. 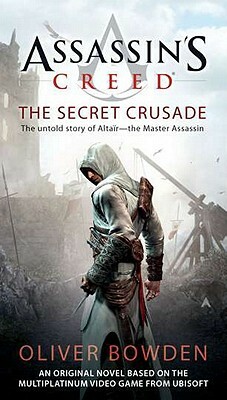 To demonstrate his commitment, Altaïr must defeat nine deadly enemies, including Templar leader Robert de Sable. Altaïr’s life story is told here for the first time: a journey that will change the course of history; his ongoing battle with the Templar conspiracy; a family life that is as tragic as it is shocking; and the ultimate betrayal of an old friend.